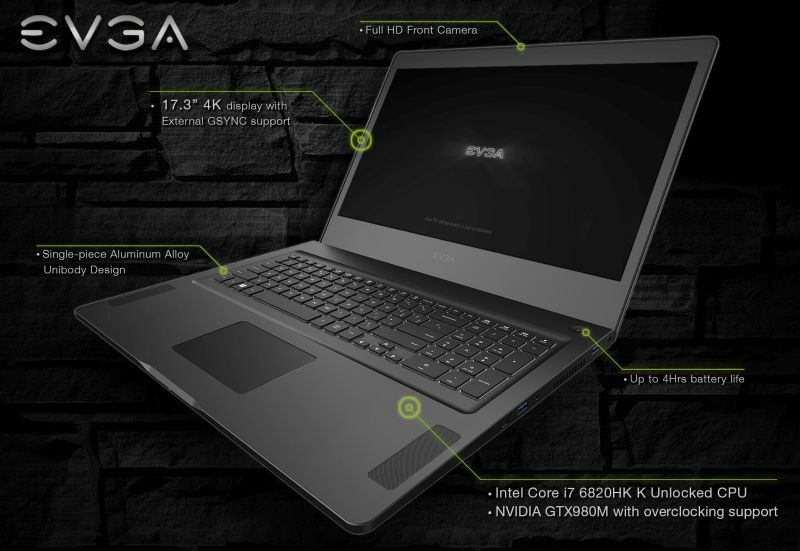 EVGA has announced today at the CES 2016 its first gaming notebook 100% designed by EVGA: the SC17. 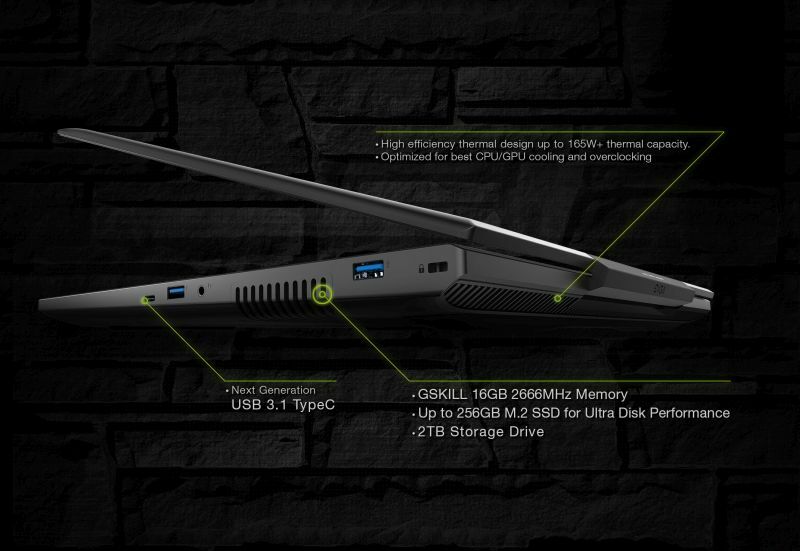 This 17-inch gaming notebook comes with an Intel Core i7 6820HK, a GeForce GTX 980M (not a real GTX 980 as NVIDIA announced it? 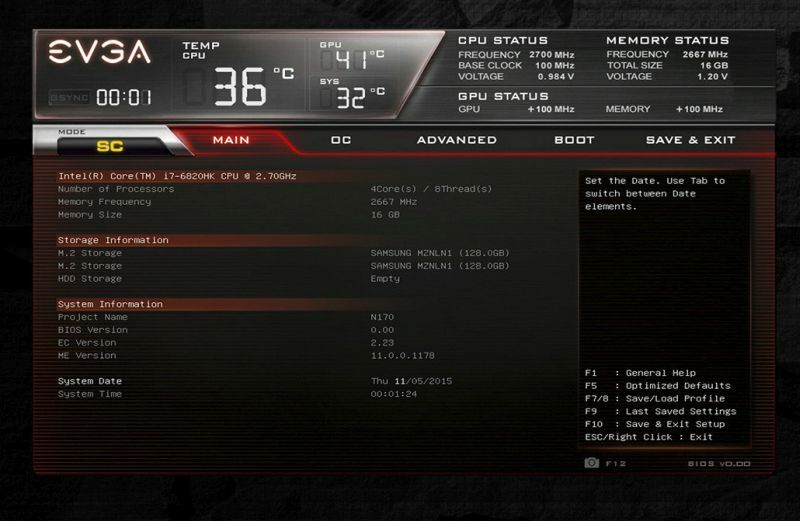 ), 16GB of DDR4 memory, two 128GB Samsung SSDs and a 4K display (3840×2160). 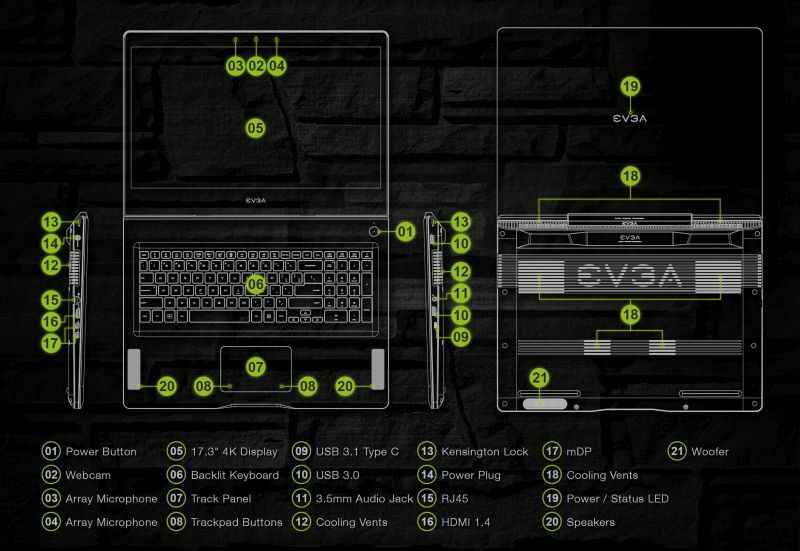 4K on a laptop, is that really necessary? I would prefer an HD OLED display borderless. beach please, who needs 4K resolution on 17inch screen… fhd would be way better and would deliver higher framerate.